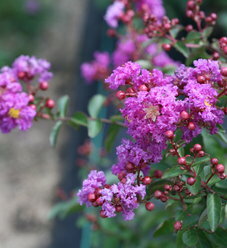 A dwarf crapemyrtle with serious flower power! 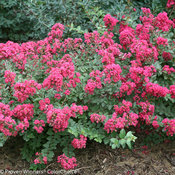 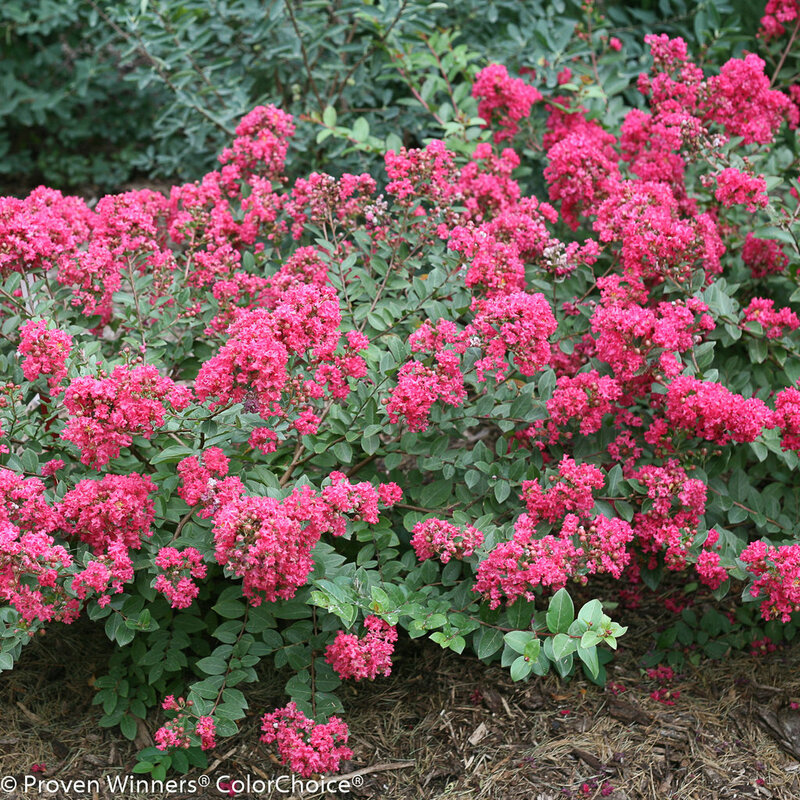 This heavy-blooming, dense, rounded plant has rich dark pink-red blooms in summer, and nice clean, green foliage. 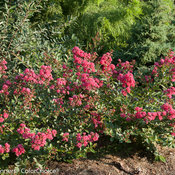 It adds lots of color to summer landscapes, and fits easily into container gardens and residential landscapes. Best in moist, well-drained, acidic soil. 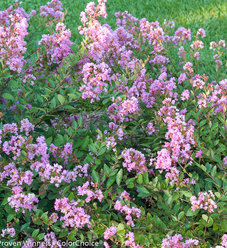 Fertilize in spring. 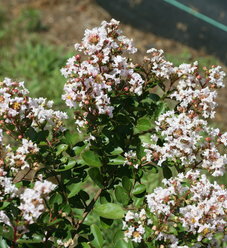 Pruning is seldom needed, but may be shaped after flowering. 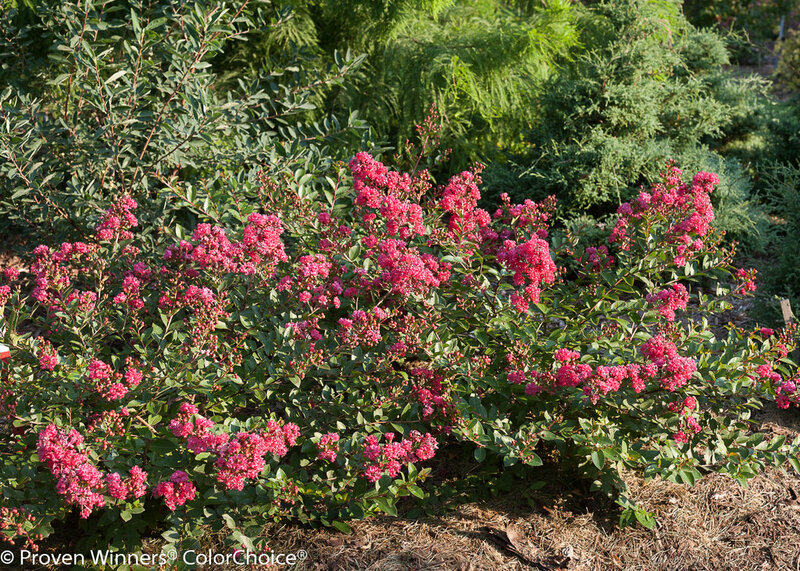 Extra mulch around the base may be helpful in cooler climates.